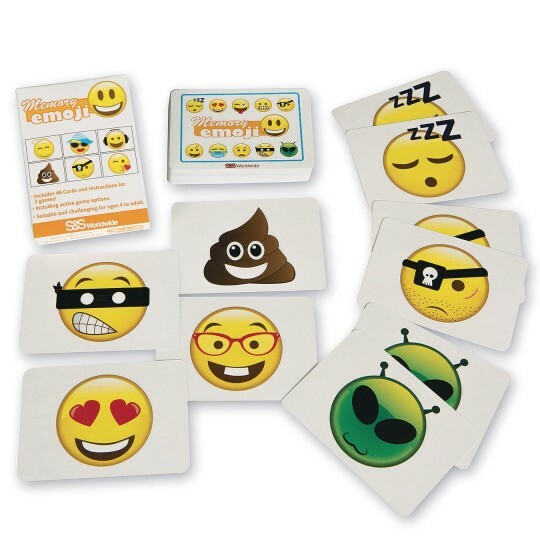 Classic card game now with emojis! 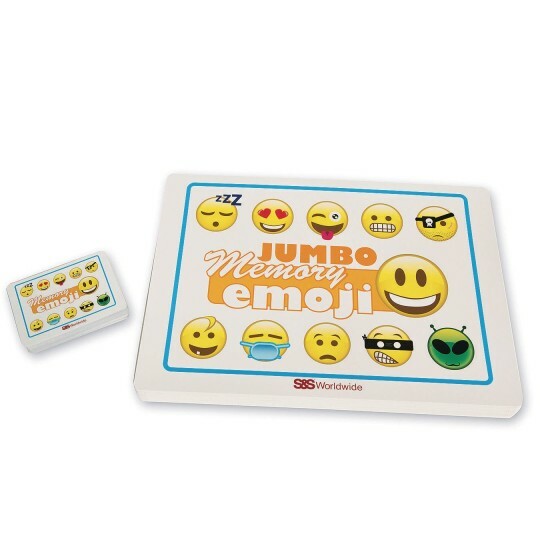 This classic flip the card over and make a match card game features fun emoji character graphics, including everyone’s favorite Poop emoji! Includes forty-eight 2-1/2” x 3-1/2” emoji cards and rules for 3 different games. One game even adds an exercise element to get your group up and moving! Fun for 2 or more players or teams, ages 3 and up.